Boat Life Style-Premier Marine: Should I Buy a New or Second Hand Boat? Should I Buy a New or Second Hand Boat? 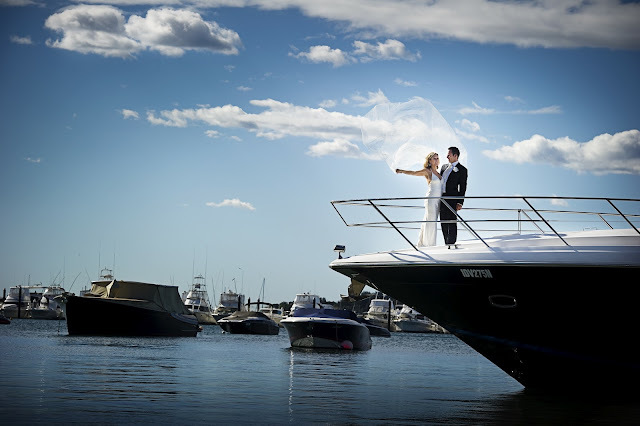 Buying a boat can be as exciting as the first day you get married! But like any marriage, you certainly want to do your research to be sure you get it right. Congratulations, you've decided to buy a boat! Now before you go out and buy the first boat you lay your eyes on (and possibly regret it), it's important to make sure you do your homework well before it comes time to handing over your dollars. As the old saying goes 'the best 2 days in your boating life is the day you buy your boat and the day you sell it'. Whilst, I've never prescribed to this line of thinking myself, I've heard all the horror stories out there and I'm happy to share some home truths with you. Oh and if you're thinking I maybe a little biased, keep in mind we do sell both new and used boats and I simply believe 'forewarned is forearmed'. I would always suggest you're better off buying a new small boat that meets your budget as opposed to a bigger second hand boat for the same price. There's nothing like buying a new boat and infusing your own imprint into it. Then there is naming your new boat and welcoming it into the family like you do for a newborn. If it's your first boat ever, I generally say smaller is often better as you need to keep it simple to ensure you get out and enjoy it as much as possible. Then, assuming you enjoy your boating adventures and it's everything you've dreamed it would be, you can look to upgrade in the future. If you buy your boat from a good dealer, they will generally take care of you with your upgrade and keep it as simple as possible. All too often, I see multi-million dollar boats sitting here at the Marina doing nothing, whereas our sporty and fun day boats are out most weekends being loved and enjoyed. Due to amazing advances in technology, you can option up your boat with the latest anti-corrosive measures such as Ocean X Drives, fresh water cooling and Neutra-salt solution, which will take your usual 5-year maintenance requirements up to a staggering 20 years and beyond. Warranty equals peace of mind. Remember, if you grey import, you do not get any warranty or service from the Australian representatives for this brand. Based on our current economic conditions, you can often get yourself some amazing bargains on a new boat, especially considering our strong Aussie dollar. If you deal with an importer and distributor of a boat brand, you will gain further savings on a new boat, due to low margins adopted as most dealers are needing to remain highly competitive. This rings true for deciding between a local dealer or grey importing as in many cases (like ours), a dealer will start at US pricing in any case and then you get a boat built to Australian standards and not the US. A big point to make when thinking about buying a boat (whether new or used) is the brand of boat and where they're built. It's true that a lot of American built boats are built purely for flat water lakes. You need to pay great attention to the shape of the hulls of a boat as this will determine whether your boat will handle choppy Australian conditions. For instance our Regal Boats are brilliant due to the patented and award winning FasTrac hull which means they're great for Sydney Harbour chop. And the deadrise and flared hull design of our Chris Craft makes off shore boating an absolute breeze. Low hours on a second hand boat should ring massive alarm bells! In fact, the more hours on an engine the better. Low hours usually mean the legs have been sitting there and salt water is feasting away at all the metal components. This can mean a very costly overhaul and in many cases a complete engine rebuild and leg replacement is required. The best second hand boats are those kept on a trailer and flushed after every use. Ensure all servicing and maintenance has been carried out and do ask questions as to why the current owner is selling. Often it's a good sign if they're simply upgrading and take note as to whether the owner is upgrading to the same brand or a different one as this will give you an idea of how pleased the buyer was with that brand of boat. Will a Marine Survey Protect my Interests? Whilst you should certainly get a marine survey, don't be fooled into thinking a 'good bill of health' is exactly that. Unfortunately diagnosing imminent issues can usually only take place once the problem actually occurs, which is often after you've made your purchase or only found at the time of slipping and servicing the boat. If you choose wisely, one of the most exciting purchases you will ever make is when you buy a boat as it represents a sense of freedom and one that you can share with your special friends and family! In fact, boating really is family bonding at its finest. A friend of mine bought a second hand boat he had a gasket blow recently cost him a pretty penny, give me a new boat warranty any day! I prefer to buy a new boat as there are lots benefits of buying new boat. Very easy to get the boat financing. Me too prefer to buy brand new if I had the financial capabilities.